Welcome to Digital Digest! We have all of your regular news and features this week, along with a review of Fridays - The Best Of. Let's get started! We all knew that How I Met Your Mother - The Complete Season Eight would inevitably come to DVD, and this week, TVShowsOnDVD.com has a date! According to the "all things TV-on-DVD" website, the set will be released on the already crowded date of October 1, at a $39.98 MSRP. Once again, there will not be a Blu-ray release, as there was for season four (but no seasons beyond that). Meanwhile, Lionsgate is preparing to put out more of Charlie Sheen's current sitcom Anger Management out on both DVD and Blu-ray, with Anger Management - Volume 2 (DVD, Blu-ray). Amazon.com gives a release date of September 10 for these releases, but other sources give a release date of October 15 for the title. While we can't say with certainty which one is more accurate, we're inclined to believe it is the October date, given that this was just recently announced. We'll have more once we know more. Tuesday (August 6) brings us two new releases. First up is Sony's release of Community - The Complete Fourth Season (review). Also, Shout! Factory has Fridays - The Best Of, which we review today in Digital Digest. In the '70s, NBC brought new comedy to late nights on Saturday with Saturday Night Live. It wasn't the type of sketch comedy that had graced the screens in the past. 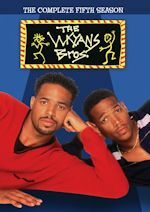 Instead, it was a series that sought to see how far you can push the envelope and brought in musical guests every week that appealed to the younger generation, the youth who didn't quite see things the way that their parents saw things. 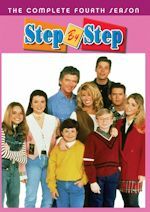 It turned out to be very successful (so much so that it is still on the air today, almost 40 seasons later), and of course, with success comes imitators. 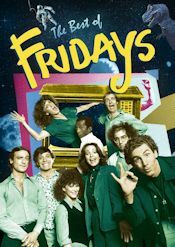 And in the 1979-1980 season, one of those imitators came to life on ABC with their live comedy series (also with popular music guests of the time), Fridays. From the very beginning, though, Fridays tried to make it clear that it was absolutely, positively, NOT Saturday Night Live. The problem is that it sort of was, with the same sort of cast, a weekly musical guest, and even a weekly news segment called "Friday Edition" (almost like "Weekend Update"). Or so it seemed on the surface. While Saturday Night Live was "live from New York" and had these elements and wasn't afraid to push the button, Fridays was a different animal, "live from Hollywood," and seemed to skew even younger, and was much less afraid to go "over the top." 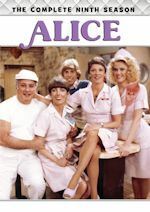 The series lasted for 58 episodes over three seasons on ABC, and sixteen episodes are now available for the first time ever on DVD from Shout! Factory. As usual, it is hard to talk about every great moment in each episode on this set, so we'll stick to some highlights. The set begins with the first episode of the series, where we are given an explanation of why the series is NOT Saturday Night Live... complete with a sketch that mocks SNL. The Clash is the musical guest in episode 3, which includes the controversial sketch "Diner of the Living Dead." In episode 8, Friday Edition has an interview with Jimmy Carter (in the form of John Roarke), and Tom Petty and the Heartbreakers performs. We go to the 1980 Republican National Convention (sort of) in episode 10. In episode 15, we get to see a spoof of "Duck Soup." Devo is the guest in episode 20, where the transition between Carter and Reagan administration is depicted. Episode 21 has a Star Wars parody... with the character of Woody Allen. We get a Candid Camera political parody in episode 23, along with a performance from Pat Benatar. In episode 24, The Rocky Horror Picture Show is parodied in The Ronny Horror Picture Show, a tale about liberal couple Brad and Janet arriving at the home of Ronald Reagan. The famous Andy Kaufman marijuana sketch appears in episode 31... and an apology follows in episode 32. William Shatner brings a bit of Star Trek parody with him in episode 39. In episode 41, we get to see a Raiders of the Lost Ark parody. Episode 49 features Valerie Harper. The set ends with episode 50, which features a Hollywood Squares parody. The set is packaged in a standard Viva case, as most recent Shout! Factory releases have been. 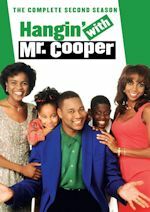 The cover has a cast photo along with a TV and the series logo in the background. On the back of the case, there is a brief description of the series, along with a few episode snapshots. Inside the case, you'll find the five discs, along with a very nice episode booklet. The booklet has a brief introduction to the series from John Moffitt, then includes a detailed listing of every sketch for every single episode included in the set. The menus on the set are nice, though nothing too special. The main menu has a cast photo similar (but not identical) to the one seen on the cover, with a ticket that has options of Play All and Episode List on it. When you select Episode List, you get a choice four episodes on each disc, with the original airdate and guest stars (if any) listed. Once you select an episode, you get another menu, where you can either play the episode or go to an individual sketch on the episode. Chapters are placed all throughout each episode. There is literally nothing to be impressed about concerning the video and audio quality of this set. It really doesn't look that great. Of course, this series was never really intended to be seen after the original airing anyway, but the video quality is just sort of dull and the audio has some dropouts and defects in it. Still, I'd take this over not seeing it on DVD at all. The episodes are not closed-captioned or subtitled. There are quite a few special features on this set, all on Disc 5. "Actors' Conversation" (58:58) is an interview feature that includes John Roarke, Darrow Igus, Bruce Mahler, Michael Richards, Melanie Chartoff, Brandis Kamp, and others talking about their memories of the series. They talked about how they were discouraged from using cue cards and were expected to memorize their lines (and improvise if they forgot) as well as talking about memories of individual episodes. At the beginning of this feature, John Moffit talks about Maryedith Burrell wasn't able to participate in that interview, but she does appear in her own separate interview (13:34). We get more of the same in "Writers' Interview" (58:55), where just the writers sit down and talk about their experience on the series. In "Andy Kaufman Incident - What Really Happened?" (9:05), John Moffitt and the cast talks about the famous Andy Kaufman moment, where he broke character in the middle of a sketch and got into a fight with everybody else, and whether or not it was real. So was it? Watch this and find out! "Photo Gallery" (5:32) is exactly what it sounds like, a lot of photos from the series to enjoy while the theme music plays in the background. Finally, "Fridays on the News" (8:00) is actual new footage with Paul Moyer from KABC at the time (he recently retired from KNBC) going behind-the-scenes on the set of Fridays. It is rather interesting to note that in this rather informal interview, Moyer is very openly smoking a cigarette on the set with the writers... a much different time, yet it was only about 30 years ago! I have mixed feelings about this release. I am glad that Shout! Factory released it, for sure, as this is one of those series that I've never seen that I've always wanted to see. However, I'm disappointed that there are few (if any) completely unedited episodes on this set, some running only near 30 minutes. I know that musical performances are difficult to license, but given that this was a best-of release that contained sixteen handpicked episodes, I assumed that everything would be intact. Not the case, at all. Still, it was nice to actually see the show on DVD, and I did enjoy what actually was on this set. This aired mostly in an era where Saturday Night Live was just plain awful and appeared to be bordering on cancellation, and I can see how this series would have been more enjoyable at the time. To me, it almost felt like watching the first five seasons of Saturday Night Live, extended into the '80s with a new cast (despite the fact that Fridays tried to make it clear that it wasn't Saturday Night Live). Despite the flaws with this set, I think that any fan of edgy sketch comedy is sure to enjoy this set, even with the imperfections. Who to Follow: Danica McKellar (Twitter), "Acting, Math, Yoga & Mommyhood! ...and occasional random thoughts from deep inside my brain..."
Claim to Fame: Danica McKellar first came to fame with her role as Winnie Cooper on The Wonder Years, but following that, she didn't really have any other major regular roles on series. Nonetheless, she found her own success when she decided to get a degree in mathematics, and now she is a role model writing best-selling books about encouraging young girls to show interest in mathematics. Why You Should Follow Her: While you probably won't be hearing much about her current acting career (or lack thereof) on Twitter, she is still an actress that we all loved and adored when she was a child, and it is great to see that she has grown up to do something even more positive. Her Twitter feed is full of nothing but positive messages and adoration for her fans, no matter why they love her. She isn't completely out of the acting game, so it is possible that we could see her somewhere once again in the future.